Part 5 continues with national circuits. 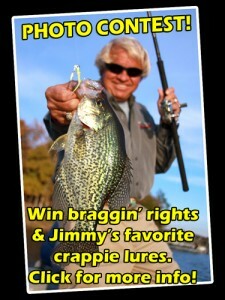 This issue looks at taking care of crappie, the importance of media and the costs of competing. 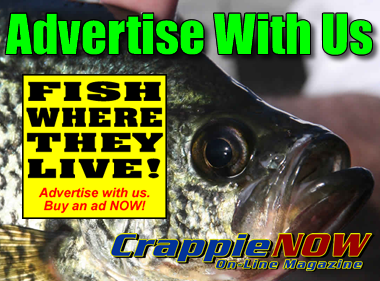 Our series experts include Darrell Van Vactor, General Manager of Crappie USA; Mike Vallentine, President and Owner of Crappie Masters; Matt Morgan, Co-Owner of the American Crappie Trail; and tournament fishermen. The purpose of this series is to discuss the national trails, inside information and the future of the sport. Whether you fish tournaments or not, these national trails and the fishermen who fish them have an impact on the boats, gear and baits. Tournament fishermen have added volumes of fish-catching information that is used in everyday fishing. Kevin Jones pulls a good crappie from the livewell on day two of the Crappie Masters Lake D’Arbonne, Louisiana State Championship. Keeping fish alive is as important as catching them. A well-rigged boat from front to back is a big investment. Sponsored teams like this one typically receive help in expenses making it possible for them to travel and fish more tournaments. 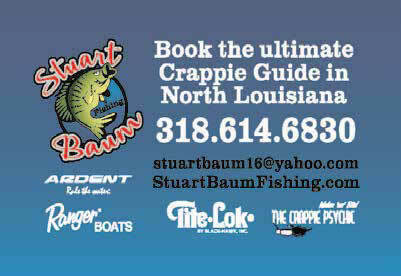 Crappie USA is a charter member of Brush Pile Crappie with Russ Bailey. They are also doing a pilot for their own TV show. Television, streaming, video and photos from the media help tell the story. 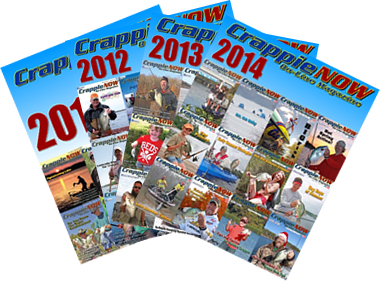 He says a goal is to make some of the crappie fishermen household names through social media, magazines and television. It has started with a core group of about fifteen fishermen and will continue to extend as it grows. Matt Morgan plans to incorporate ideas that have been successful in bass fishing. 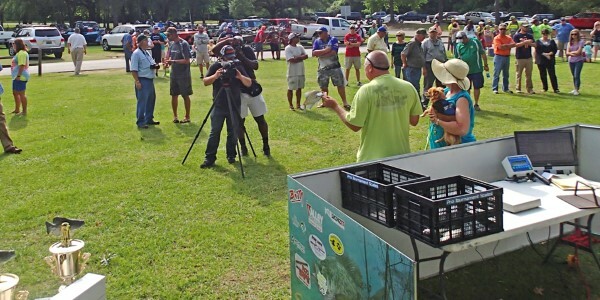 For example, they plan major interaction with anglers on TV and will develop stories. They key is to provide a quality TV show. Another goal is to show care of fish with live release boats. Media will be important to promote conservation and stewardship of all waters. …Are Tournaments a Rich Man’s Game? Just read our articles and look to see what the experts are using. $8,000 worth of electronics on the boat, $2000+ trolling motor, at least three sets of eight poles, rigging and rod racks. Of course you can add Power Poles and other extras. Big boats require big motors to push them and big trucks to pull them. Tournament fees aren’t cheap. So how much should you spend? Your budget and fishing goals must meet a happy medium. If money is not a major object just go for it. But if money is an object and you’re serious about your crappie fishing, determine what you need and find something within your budget. For example, you are techie oriented you’ll want a good graph. All the major companies are offering units in the $500-$700 range with bright, medium-sized screens with high-tech sonar, mapping, side and down imaging. If you want to go bigger you can spend thousands. So what is the conclusion? Large glass boats add safety along with a heavy platform to navigate and fish rougher water. Advanced electronics, Power Poles, a good trolling motor and other goodies allow a fisherman the best chance for finding fish quickly and better boat handling. To compete consistently a fishermen must keep up with part or all of the products that help catch fish in some way or another. Can more basic equipment and aluminum boats compete? Sure they can but they are at a disadvantage on windy days and on big, open lakes. Experience, luck and a lot of time on the water can help offset the difference. Traveling to an out of town tournament requires money. Lodging, truck gas, boat gas and tournament entry can take a big chunk of money. License, eating out, bait, repairs, and other miscellaneous stuff adds up, too. Most fishermen say $800 minimum going as cheaply as possible. Most say $1000 to $1200 if nothing breaks down on the truck, trailer or boat. 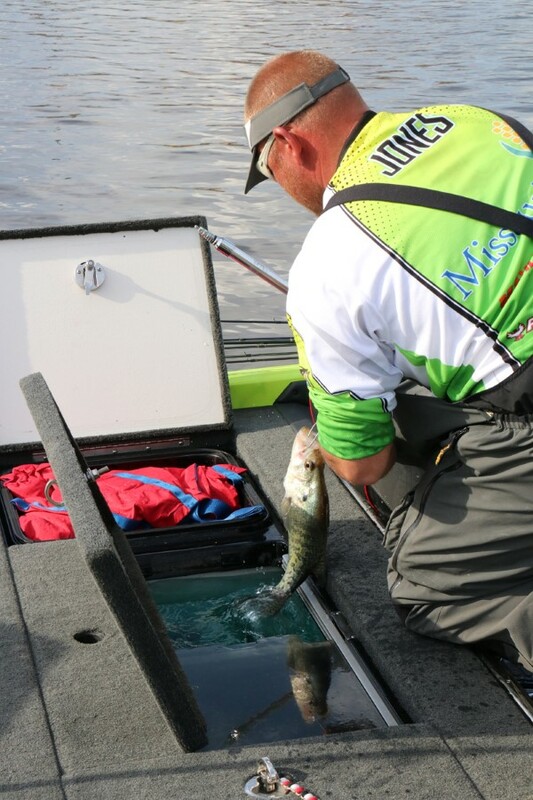 The positives are the fun of competing, days on the lake fishing and a chance to win money. Like everything else in life, a fisherman must decide his budget and decide how he wants to spend his money. 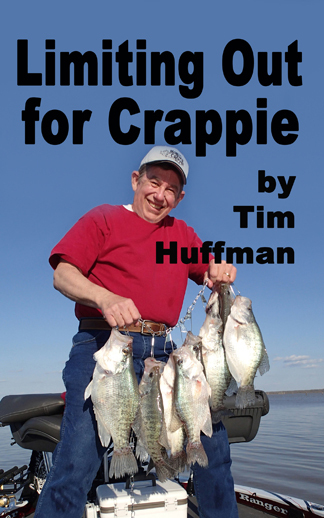 With the upward trend of fishermen in national tournaments, it appears more fishermen are enjoying the competitive side of crappie fishing. Next Issue, part 6, takes a look at the pro fisherman, what it really means to win a Classic or Angler of the Year Award, and the changing look of crappie tournaments.